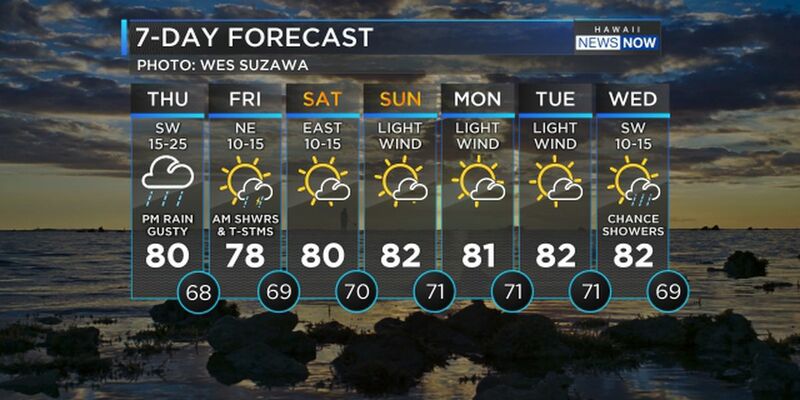 HONOLULU (HawaiiNewsNow) - A cold front approaching Kauai will cause increasing southerly winds and wetter conditions over the western end of the island chain by early Thursday. 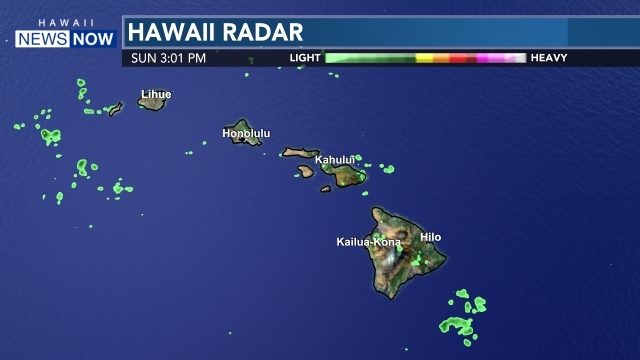 Showers, along with a chance of thunderstorms, will accompany the front as it pushes down the island chain from late Thursday through late Friday. Northerly winds and drier conditions will fill in behind the front after it passes. 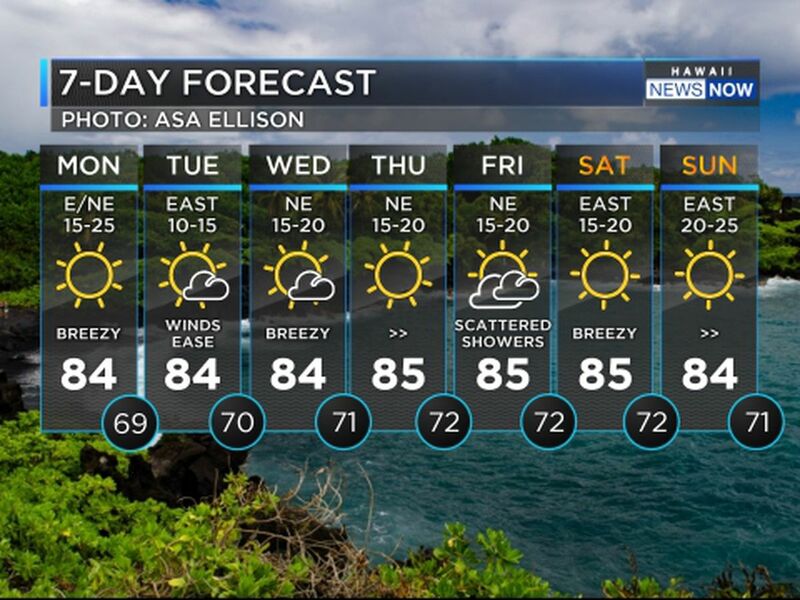 A brief period of trade winds is expected from late Friday through Saturday as high pressure passes by north of the area. Another front approaching the state early next week is expected to produce another period of southerly winds and increasing showers. A moderate to large, short-period, northwest swell will build Thursday night and peak early Friday, then slowly shift to the north-northwest and fade over the weekend. This swell may briefly reach advisory levels for exposed north and west facing shores Thursday night and Friday. In the long range, an active weather pattern will continue to produce small to moderate northwest swell through early next week. A larger northwest swell is possible towards the later half of next week.